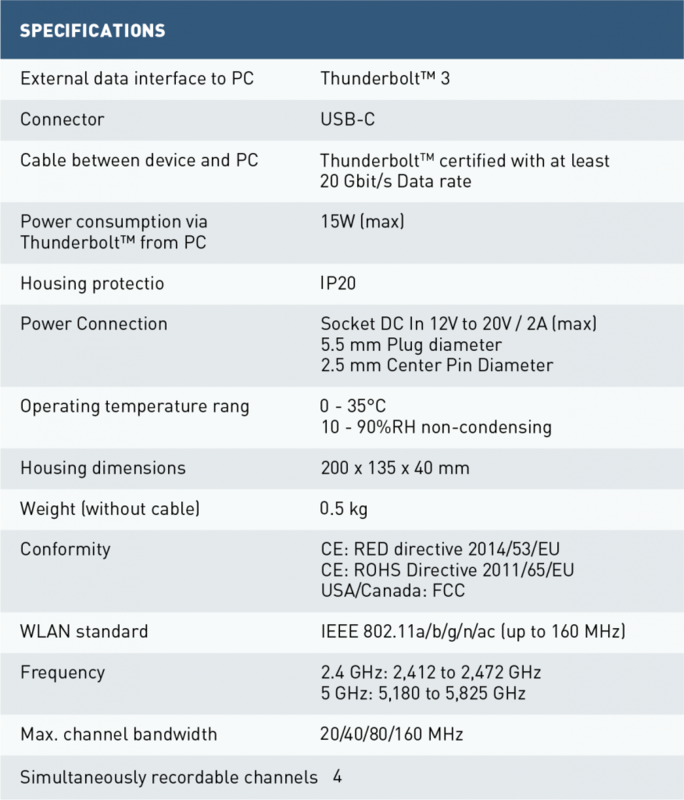 For 2.4 and 5 GHZ WLAN according to IEEE 802.11a/b/g/n/ac. 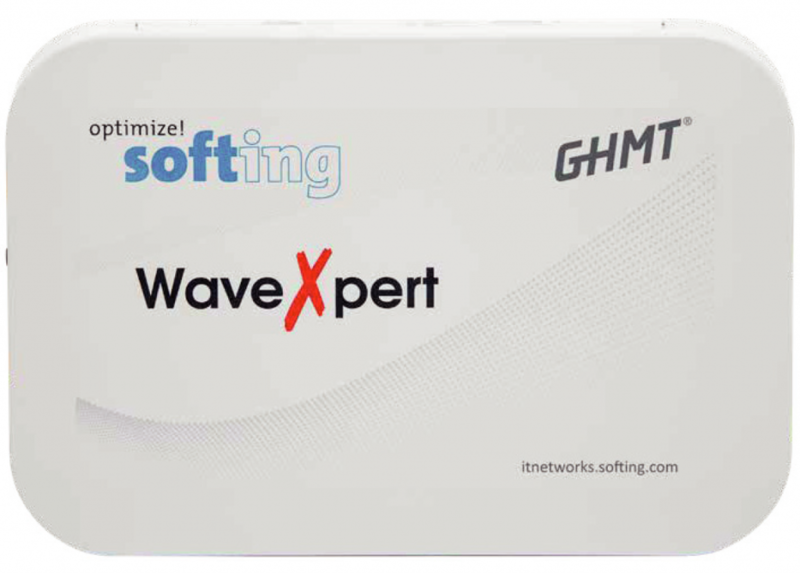 WaveXpert 2 – 5 GHz (4 channels with 20/40/80/160 MHz and up to to 4×4 MIMO). The WaveXpert is designed as a peripheral device for PCs, which have a Thunderbolt™ 3 interface.The data collected by the WaveXpert is transmitted via the Thunderbolt™ 3 interface to the PC and is stored in the PC’s memory. There the data can be displayed and analyzed with Wireshark. which should be able to supply a voltage between 12 and 20V. Devices which are available for additional charging of laptops are suitable for this purpose. The plug of this external power supply, must be compatible with the power socket of the WaveXpert. The polarity of the contacts in the Power-In jack is like shown in the picture. The center pin must be connected to the positive pole. The center pin of the Power-In socket has a diameter of 2.5mm.